Above: Curated products for a light base + dark lip. Brisk weather is finally a Southern CA reality and, with Christmas just around the corner, my desire to embrace a lighter base and darker lip has flourished. 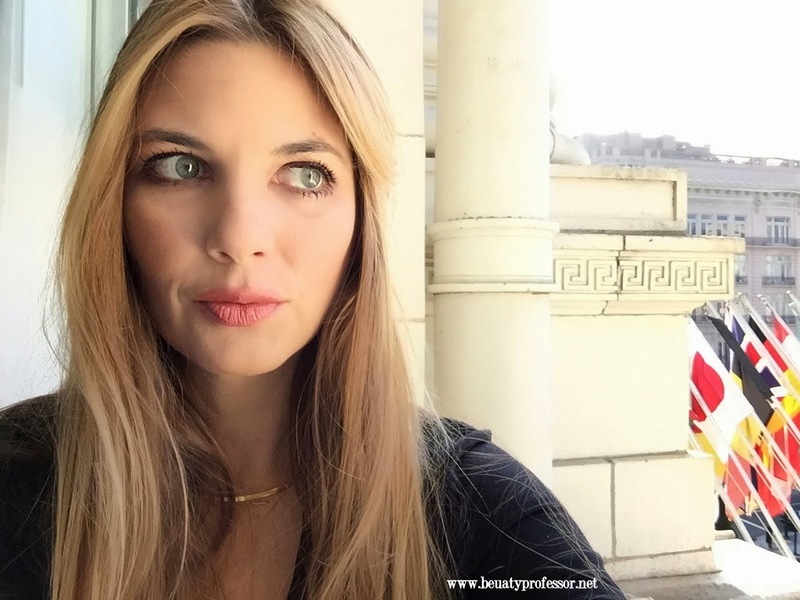 With new product discoveries from Shu Uemura, Burberry Beauty, Surratt Beauty, By Terry and Le Metier de Beaute, the fair face and flushed lips look was easier than expected! I was able to test out this new dynamic late last week while in San Francisco with my family for Thanksgiving and am elated to share the results. Above: Burberry Light Glow Natural Blush in Earthy Blush has rightfully earned its cult status amongst beauty lovers. Shu Uemura The Lightbulb Oleo-Pact Foundation in #564 Light Medium Sand (reviewed HERE): This cream foundation is fast becoming a favorite...ultra smooth medium coverage, a slightly glowing lasting finish and the most natural fusion with skin that one could hope for, I am so glad I took a chance and ordered this sight unseen. #546 Light Medium Sand is excellent for NC 23-25 skin. By Terry Densiliss Concealer #3 Natural Beige (reviewed HERE): Since mentioning this divine concealer last month (all shades swatched HERE), I have received countless emails and comments from readers who love this dark circle banishing formula as much as I do. The gorgeous coverage blends like a dream and doesn't crease, even on insanely long days! I can wear #3 and #4 but #3 works best with my slightly lighter foundation choice. Burberry Light Glow Natural Blush in Earthy Blush: This cult favorite has found a permanent place in my contour/bronzer rotation. The finely milled, shimmer less powder buffs into skin for an imperceptible finish and the slightly rosy brown adds stunning dimension and warmth to the face without depositing too much color...I run it along the hollows of my cheeks, down the bridge of my nose, along my upper forehead and across the lower lines of my jaw for ultra-natural definition. I will never be without this gem from this point forth. Le Metier de Beaute True Color Eyeshadow in Alexandrite (reviewed HERE): The wine-meets-purple hybrid is wildly pretty. I prefer to build it up along my upper lid and run a touch along my lower lash line for a subtly intense look. Buffing a lighter shade (see below) from the lid to the brow line tempers the potential drama of the rich shade, allowing it to be unquestionably suitable for daytime. Burberry Beauty Sheer Eyeshadow in #26 Gold Pearl: Soft as silk and very pigmented, this pale golden shade has only the slightest amount of shimmer...it truly is a creamy gold that brightens up the eye without employing obvious gleam. I love using it along my brow bone to diffuse darker shades and am marvelously impressed with the luxe texture of the Burberry eyeshadows! 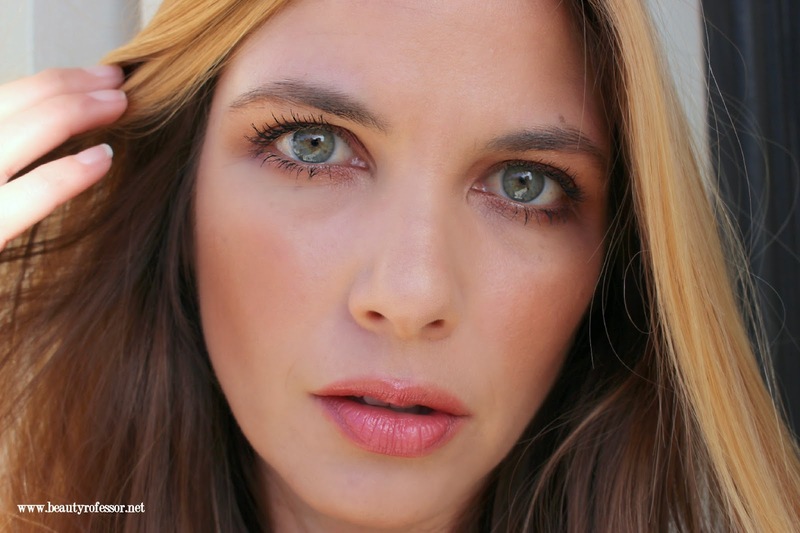 Surratt Beauty Relevee Mascara (reviewed HERE): One of my favorite mascaras of all times, two coats build lush volume and enviable length and the stalwart formula does not flake or budge...one my third tube, this always in my makeup bag. Surratt Beauty Lipslique in Eglantine (also swatched HERE): I adore the Lipslique formula and ventured out of my comfort zone with this deep rosy shade. A harmonious blend of blush, red, brown and wine, this pigmented hue is simultaneously bold and subdued. As a rule, Lipsliques are moisturizing with a slightly shiny finish and the light, semi-sheer texture allows for an unprecedented ease of application, even with the deeper shades. Eglantine is "dark" without being "too dark," and I appreciate its transformative powers...it allows the wearer to feel chic in a carefree, I'm not trying too hard kind of way. Highly recommended! Cozzette Rounded Blush Brush S130 (reviewed HERE): Fluffy and dense, this applies contour with ease. It is such a lovely brush and I find myself grabbing for it often. Tom Ford Velvet Orchid Fragrance (reviewed HERE): I love the creamy, musky floral goodness of this fragrance and find it works best in cooler weather...it lifts the spirits while adding an element of mystery. Have you tried it? Above: Surratt Beauty Lipslique in Eglantine is the perfect blend of blush, red and brown for a juicy, flushed lip. Above: Eglantine alone on the lips. 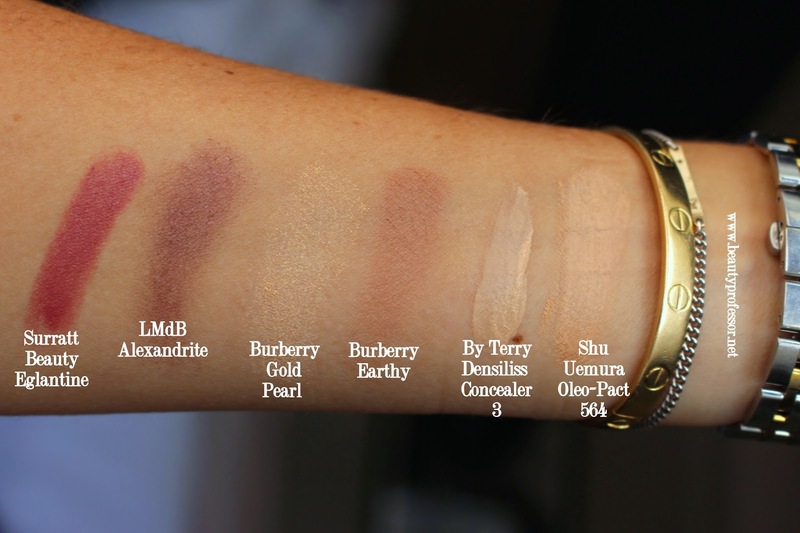 Above: Swatches of all products in outdoor shade. Above: My favorite window view in the world...Fairmont Nob Hill, San Francisco, CA. Above: Indoors, with a flash. Above: Outdoors, direct sunlight, with a flash. Bottom Line: I hope your week is off to a wonderful start! Since returning home, I have hit the ground running. The end of the semester is rapidly approaching and life has been comprised of long work hours, a plethora of grading, a host of meetings and a concerted effort to keep Beauty Professor thriving ; ) Thanks, as always, for your loyal readership and support! Read your posts before looking at the pics and was expecting Eglantine to be a super dark berry--- but it is pretty much my go-to light shade-- very pretty. As a pale olive neutral, I am worried that Burberry earthy would look too brown on me, thought it's tempting. 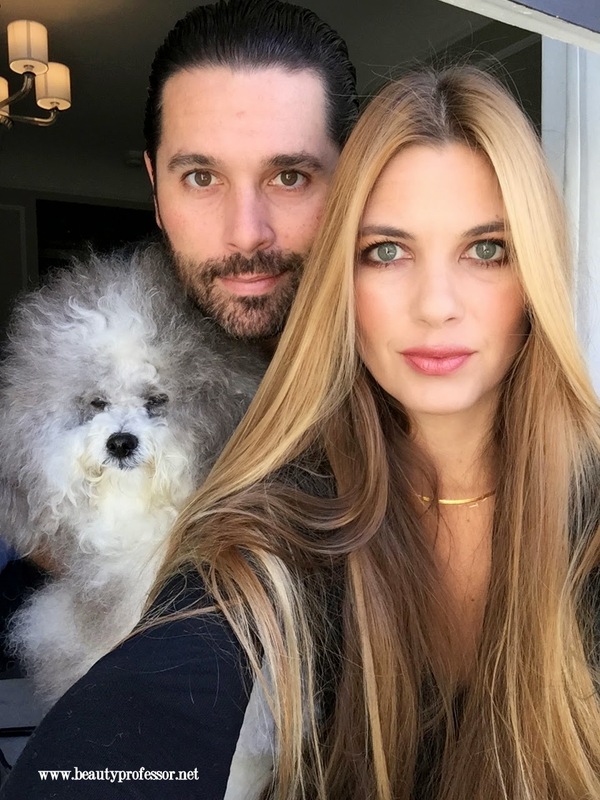 Love the family pic--- your husband has a similar look to mine and your pooch is a cutie. Thanks for your comment! I, too, have found Eglantine to be a marvelous mixture of depth and wearability. Such a surprise! I don't think Earthy will look too brown on you (I too am basically a light olive neutral)...it is truly a neutral with a bit of rosiness and no orange...very unique and I love it. As always your makeup is perfect. I wish I had your skin! Burberry Earthy is a thing of beauty. Thank you ever so much!!! Good foundation and good lighting can do wonders ; ) Earthy is wonderful and highly recommended! Thank you, Shoshanna! Your compliments are so very generous and deeply appreciated! I hope your week has been marvelous. I was expecting it to be super dark! For me this is close to my preferred day look. My lips are darker by a shade or two though. That is great news, Clever Girl...yes, Eglantine is less dark than I expected as well! Gosh you truly look flawless in these photos. And I absolutely LOVE this lip colour on you...and it's very rare that I compliment a darker lip. It's dark yet somehow still looks neutral. How lovely! I must get my hands on this! I ordered four Surratt backup mascaras on Cyber Monday since Ebates was doing 10% cashback...excessive, I know, but now I regret not adding this to my shopping cart! I hope you're enjoying San Francisco, my former home! I miss it dearly. My husband and I both met at med school at UCSF and moved out right by the Embarcadero after we graduated. Oh how I miss it! Wow...thank you, MG...good light and good base, I assure you ; ) I am with you on the general lack of darker lip love. This shade is somehow neutral, despite its depth! That is awesome news about the Surratt mascara...glad you love it as I do. San Fran was delightful as always...gorgeous town and kind people. What a lovely backstory to you and your husband...makes me smile! Isn't Velvet Orchid incredible? Such a unique scent...full bottle for Christmas, indeed! I have the lipslique in Chuchoter and Hevyn. It looks like Eglantine will be next. Your complexion looks so lovely. I looked online at Herrod's, but I couldn't find descriptions of the shades for the Shu Uemura Oleo Pact. I'm a 5 in Armani Maestro and 02 Beige Clair in Guerlain Lingerie de Peau. Any suggestions? I'm also really interested in the Sensai now that it's available again. Hope you're having a wonderful holiday season! Chuchoter is such a good neutral and I have my eye on Hevyn...I think you will love Eglantine. Thanks for the kind words about my complexion...with regards to the Oleo-Pact, I think you will find a match with #564 (which is a touch light for me) or #574 (which is a touch lighter than #564). The first digit tells you how pink or yellow the foundation is (1 is the most pink; 9 is the most yellow; 5 is neutral). The second digit goes from black to white. A second digit of 0 has the most black/is the darkest; a second digit of 9 is the lightest. The third digit tells you chroma — whether the undertone of the foundation is blue or violet. In the case of the Cream foundation, all shades end in 4. Thank you so much for the color help. I didn't think my comment posted, and I just happened to come back to this page because of the 2014 favorites video. I'm waiting for the traceless perfecting foundation to arrive, but I'm still hoping to get the Shu Uemura and Kanebo Sensai in the upcoming months. I'm really excited to try the oleo-pact since you mentioned your mother's feelings on it. I went for quite some time wearing Peau vierge, omorovicza complexion enhancer, or Sunday Riley effortless breathable primer without foundation. I've started combining the complexion enhancer with RBR tinted moisturizer, but I want to find something for a more polished look that I'm still comfortable wearing. Thanks again for your help. Hope your new year is off to a great start! My pleasure! So excited for your "base" adventures...please keep me posted on how everything goes! Truly stunning look yet again! I am wondering, have you tried the Laura Mercier silk creme foundation? It seems like you would LOVE it, creamy, medium to full coverage...would love to hear a review on it! So glad your Shu order arrived quickly...I cannot get over how speedy the Harrod's shipping is! So sorry to hear that both shades weren't just right but glad that 564 seems to be working. Isn't the formula incredible? You will LOVE CT Bronze and Glow! I have to say that I just found Surrat at a shop near me and I bought the lipslique in the same color and I must say, it looks so beautiful on you and I also love it. You are such a great source of information and inspiration. Thank you for your wonderful revirews.